When renting a house or an apartment you might what to consider renter’s insurance. 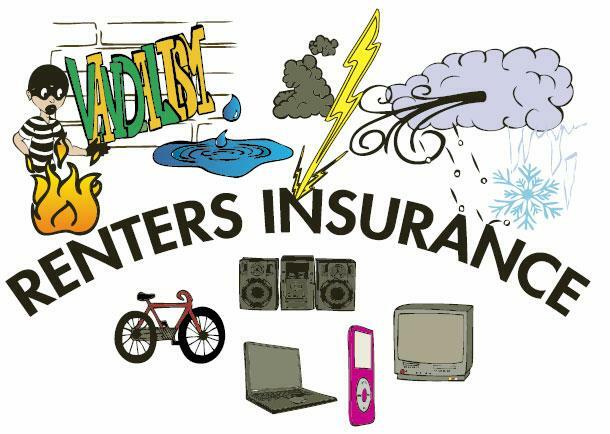 Renters insurance is a policy that allows coverage over you and your personal belongings in your residence. When living in a home you can’t always prevent incidents to your property such as robbery or fire damage. Renters insurance is a good cushion that softens the blow of outrages expenses to cover your items. These policies come in different forms such as replacement cost and actual cost value. Replacement cost means you will get money based on how much it take to replace the damaged item with a new item. Actual cost value takes the replacement cost and subtracts the depreciation (Age, condition, etc.). Based on what items where lost or damaged in an incident you may be given a limit to how much you can get to replace the item. items in these categories are usually jewelry, watches, or other smaller items. Based on your package and the damaged item you may have to pay a deductible in order to get your insurance money. If you current residence is unlivable after an incident, renters insurance can cover the cost of a hotel or another living are while your current residence is being treated. Renters Insurance is a good investment with different packages that fits your budget and can help save your wallet.